Location, Location, Location! This beautiful and well maintained all brick home shows pride in ownership. Located in the hidden gem neighborhood of Mary Esther Manor behind Santa Rosa Mall it is one of the most desirable neighborhoods in the area. Homes rarely come available as the neighbors absolutely love it. This home offers privacy with woodlands on 2 sides, just a block from the private 2+ acre lake, and 1000 feet to the neighborhood park. A lovely home featuring hardwood floors, a sunken living room with a corner gas fireplace, a spacious formal dining area, a large screened porch accessible from both the living room and master bedroom. The large side entry 2 car garage includes a huge work area perfect for the hobbyist or DIYer. 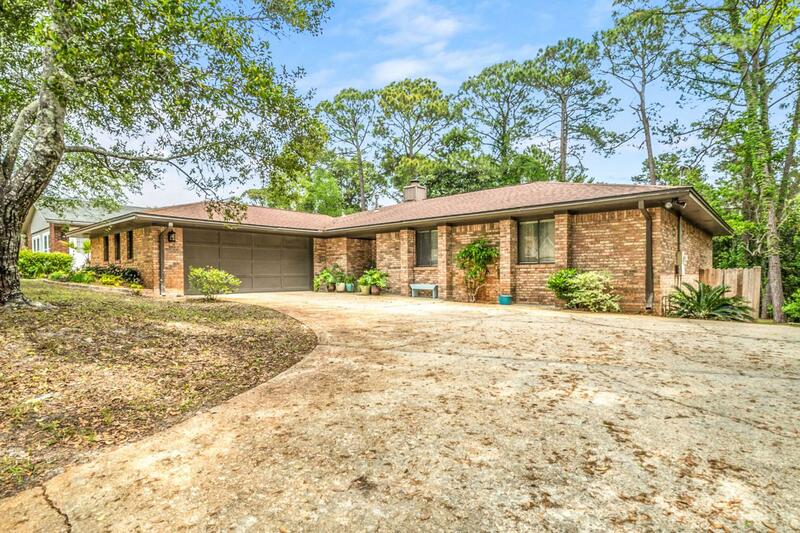 Convenient to both Hurlburt Field andEglin AFB this home is also within minutes to Santa Rosa Mall, restaurants, grocery stores, post office, library and more. The neighborhood park includes wonderful children playsets, a basketball court, and tennis court. Oak Tree Nature park with trails is just down the road for relaxing walks in the woods. Liza Jackson Park with 2 boat ramps on Santa Rosa Sound is a mere 1.8 miles and our famous white sand beaches are less than 5 miles away. Enjoy the Florida lifestyle with everything you need at your fingertips. Make your appointment to see this great home today!